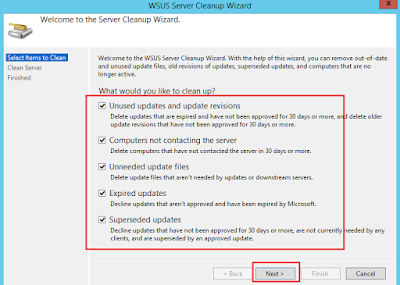 Techies Sphere: How to delete Old or Unused updates from WSUS database? 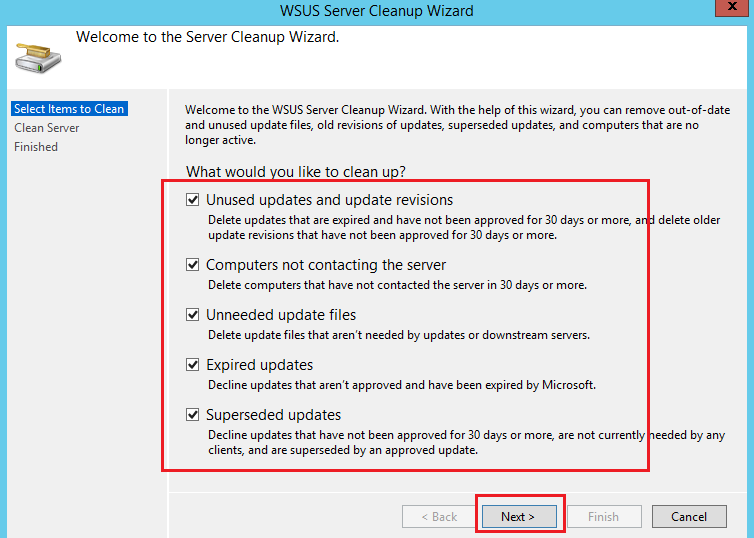 How to delete Old or Unused updates from WSUS database? 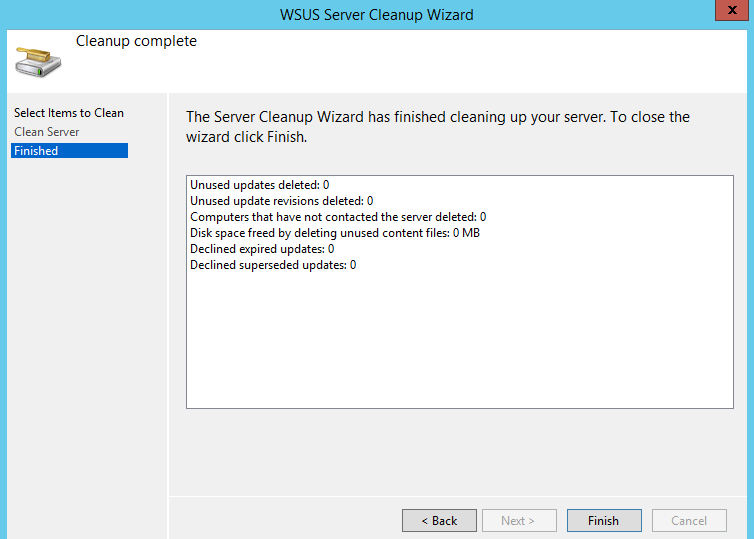 Or, Running WSUS Cleanup Wizard. Or, How to clean WSUS database? 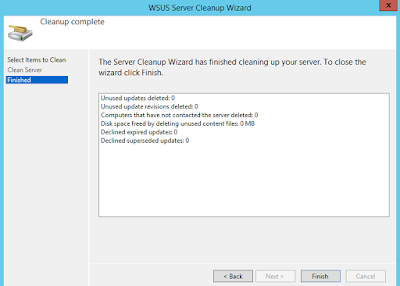 Open WSUS Management Console > In the Console Tree, Go to Options > Click on “Server Cleanup Wizard” > Select Appropriate actions as per your Requirements > Click Next > Cleanup will be started > Click Finish once the Cleanup completed.